Land of Sky Regional Council is pleased to launch COGWorks – an initiative to provide learning, training, and networking opportunities around emerging issues in our region’s communities. Please join us as we explore topics ranging from Broadband 101 for Governments, to Finding Middle Ground for Housing to Drones – Highs and Lows. Click here for more details. Land of Sky will be hosting a Recognizing Human Trafficking - Introductory Training for Local Government Works training on May 2 from 2 - 3:30 pm. Click here for the flyer. Land of Sky Regional Council is seeking a qualified individual for the position of Regional Transportation Planner with primary duties of long range transportation planning, regional transit coordination, local government planning assistance, and multi-modal planning support for the MPO. Click here for the full job description and how to apply. Each year, an estimated 5 million older persons are abused, neglected, and exploited. Come enjoy a walk and fun event with your family while spreading the word about elder abuse! Join us on Thursday, June 13 at Carrier Park from 5 - 7 pm for the World Elder Abuse Awareness Day Walk! Click here for the flyer. Land of Sky Regional Council is seeking to hire a Work-Based Learning Coordinator. This position assists in providing service offerings from the Mountain Area Workforce Development Board to the businesses and industries in the region. Click here for the full job description and how to apply. The Mountain Area Workforce Development Board is now accepting applications for the Business Accelerator Grant for Incumbent Worker Training. It is a competitive, cost reimbursement training grant through which qualifying businesses can address employees’ skills gaps. Click here for more details and applications. WestNGN Broadband Survey: Tell us about your internet service! Residents in the Land of Sky Region - Is your service reliable? Do you want and need better service? 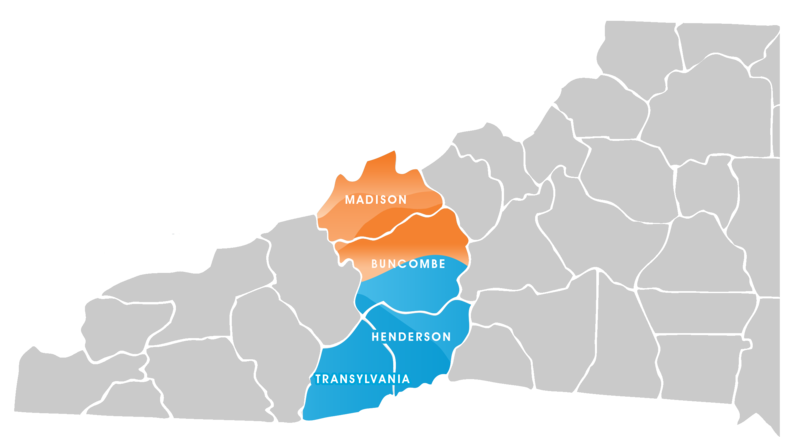 This survey is for all residentsof Buncombe, Haywood, Henderson, Madison and Transylvania Counties. WestNGN Internet Survey Please share with others! CONTACTING LAND OF SKY - We have a new phone system and our extensions have changed. You can reach us by calling 828.251.6622, press 1 and enter the new staff extension. For all general calls, please enter extension 1103. Click here for the new staff extension listing.